So first ...obviously .. I'm wearing my natural hair ! I began locking my hair at the beginning of the summer and decided to wear it out when I began work In August !! I really love the freedom it brings me , and I slowly detoxing from the weaves !! Now on to this gawgeous dress !! It is a blue and white striped Rayon Challis. Oh! My favorite part of this dress has to be the pockets ! I love pockets , so ANY dress with pockets is a plus in my book !. This pattern was sooo easy construct and it went perfect with the stripe print fabric ! I have some geometric Challis that I want to use to make a sleeved version of the same pattern before the summer runs out ! I better get on it ! I really hope you guys like !! You look fab! 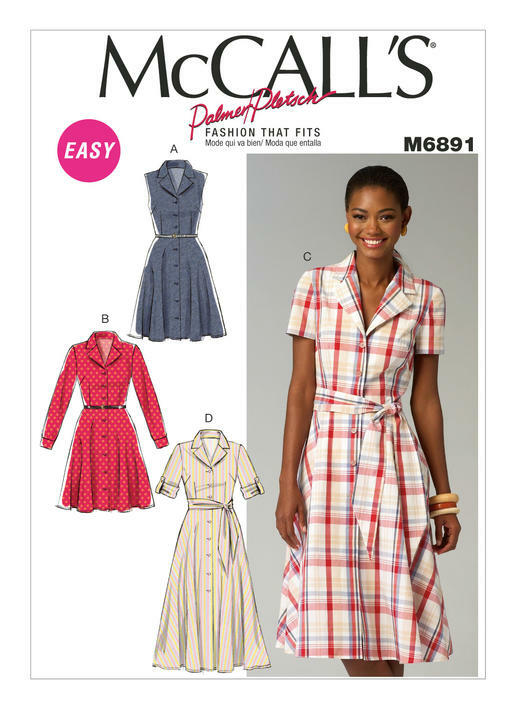 I love the stripes and the changes you made look great, I've looked at this pattern for ages but the notched collar has put me off as it looks hard but seeing this has made me want to give it go. Super inspiration!